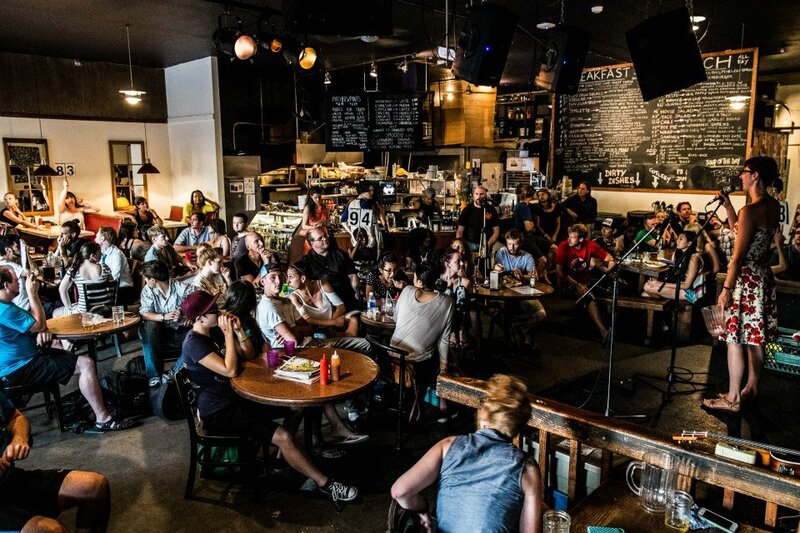 Verses Festival of Words is a yearly event series in Vancouver’s East End that includes slam competitions, performances, discussions, and all manner of literary events celebrating the power of words and forging strong, inclusive communities. On a blustery Friday afternoon, Discorder Magazine sat down with Jillian Christmas, co-director of the festival. Blooming with a warm and vibrant energy, her grinning presence created a nook of sun inside the cafe as she explained how poetry could play a critical role in giving voice and space to those who have the most to say. 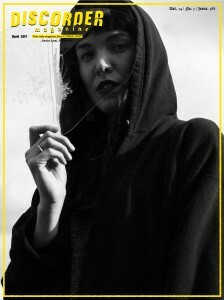 Discorder Magazine: What kind of work is showcased in Verses Festival? Does slam have a particular vitality that explains its centrality in the festival? 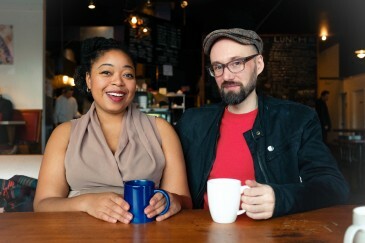 Jillian Christmas: Verses Festival was born out of Vancouver Poetry Slam, which takes place every week at Café Deux Soleils, but it has multiple components. There’s the youth component, Hullaballoo Youth Festival, which happens within Verses and which celebrates youth writing. We also have the Canadian Individual Slam championships. There are also a number of styles of performance which are represented. For instance, there’s standup comedy, as well as MASH Poetics, which features music and poetry inspired collaborations. We have conversation groups, storytelling traditions from a variety of different traditions, and literary showcases. …But yes, the festival was spawned from the slam scene. Slam is really about how the poetry is performed and how the audience engages with it, and this energy, which is palpable, is what draws in individuals who maybe wouldn’t be self-identified poetry lovers. It has a way of talking to the commonality of people — it’s very much poetry for the people, poetry as a criticism of power structures, as a discussion of identity. It holds all the elements that makes poetry resonate. It connects that common human experience, but also lets us discuss the things that are maybe unique and a little bit uncommon, in a place where there’s a perception of safety, as well as a lot of support and conversation between the audience and performers. DM: How has your experience in the Vancouver poetry scene shaped not only your work, but the work of artists around you? Do you feel the community you are all working in has had an active role in shaping the styles of poetry that you engage with? JC: The Vancouver scene is important to me — it’s the reason why I moved here. Back in Ontario, one of the things that populated my first learnings of slam are the recordings on YouTube. Vancouver Poetry Slam records all their performances, so I was able to witness at a distance the incredible artistry that goes on here: the quality and quirkiness of it, its style, which is so informed by comedy and performance, as well as its political nature. In witnessing the work, say, of RC Weslowski, one of my mentors, and others like him, I began to notice that there were some gaps in my repertoire. I began to write not only in a new style, more comedic, but also into more political spaces. Seeing what he wrote about gave me permission to write about things I hadn’t thought to explore, such as my experience as a woman of colour, as a queer woman of colour. I think that similarly, when I write about things that are challenging, it gives other people permission to do the same. Together as a community we allow each other to think outside of our comfort zones and stretch our experiences, or at least stretch the writing we do about our experiences. DM: On the Verses Festival website, its mandate is to encourage fairness and inclusivity. 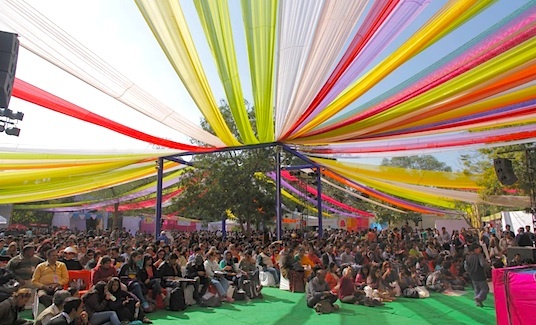 What concrete policies and practices do the festival organizers puts in place to enact that? JC: I do think that the festival and community has a mandate to be as inclusive as possible. For instance, at the spiel at the beginning of every slam, we emphasize that this is a trans-friendly and trans-inclusive space. Just making sure that we remind people that they are welcome in the space, that is a process. We are constantly consulting, reaching out to people in the community who do this work to guide us. We have had in the past Accessibility Coordinator Alex Lu, who worked with us to develop the ASL showcase we ran a couple years back. We’ve worked with Zoe Nuange, who helped us organize the Queer ASL showcase. 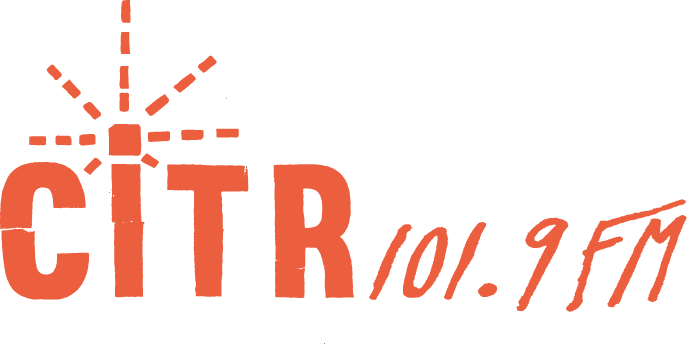 We have been very generously gifted a lot of audits from RAMP, the Radical Access Mapping Project, who assess the level of individual accessibility of different venues. There are always conversations happening around accessibility, and not just physical accessibility such as a washroom stall, but also financial accessibility. We try to reach out to low-income communities and provide free or reduced tickets, for example. We are also making ASL interpretation for folks who are hearing-impaired more of a priority. There’s still a lot of work to be done, in performances and online, such as video captioning and making our website more accessible to the vision impaired. DM: Are there any communities or demographics that you look to reach out to? JC: I think poetry is beneficial for people of all kinds, from all different walks of life, and the kind of poetry that comes up at the slam is poetry for the people: it comments on politics, on oppressive systems, government and society. It’s also poetry that celebrates and makes space for people who have been marginalized and who have not been centered in cultural narratives. I think it’s important to give those people tools, or at least open a doorway to tools that can empower them, and I think that poetry and the community that develops around it can do that. There was a poet in the community no longer with us, Zaccheus Jackson Nyce, a pillar in the community and a dear friend.. He was a full-blood Blackfoot born to a mother who struggled with her own systemic issues, and in his lifetime struggled with homelessness, incarceration and addictions. He had this line, “I’ve been addicted to everything from crack to french toast.” At times he succumbed, and at times rose up through his connections to the poetry community. He came to slam having happened to see the sandwich board outside Café Deux Soleils, and he won that slam and many more. We competed and traveled all over on teams, and [through] doing art education. His life was evidence of the power of poetry in someone’s life. DM: Does this year’s festival have a particular aim, goal or theme? JC: Every year, we talk about what we want the shape of the festival to be. This year, particularly because of the political climate and the way that people who have already been oppressed have been feeling, we want to focus on artists who are already activists. A lot of the artists that we have on the big bills are also people who are working tirelessly in their own communities, talking about the things that need to be talked about. They are advocates for queer spaces, activists around accessibility, and advocates for all kinds of marginalized folks. Celebrating that, that work, when there’s so much criticism and hate speech… It can be looked at as a dark time right now, and putting that space and that light into the world is so important right now. And activists are so hard working! It’s really important to give them, too, a time to be artists, and that’s what we’re trying to do with this festival. Verses Festival of Words takes place April 20-30 at venues across Vancouver. 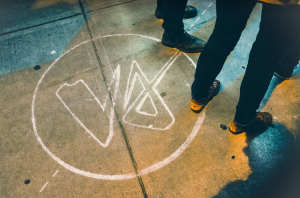 For more information, as well as a list of artists, venues and tickets sales, visit versesfestival.ca.